A Home for the Holidays-Five Things Your Campus Can Do to Help Homeless and Foster Youth A Home for the Holidays-Five Things Your Campus Can Do to Help Homeless and Foster Youth 2013 Nat. ABA Resolution ABA Resolution 2012 Nat. Creating Campus Support Systems for Foster and Homeless Students Creating Campus Support Systems for Foster and Homeless Students 2012 Nat. Disproportionality in Education and Employment Outcomes of Adult Foster Care Alumni Disproportionality in Education and Employment Outcomes of Adult Foster Care Alumni 2009 Nat. Higher Education Opportunity Act, H.R. 4137 Higher Education Opportunity Act, H.R. 4137 2008 Nat. 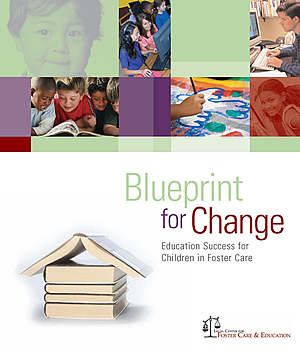 * Improving Higher Education Outcomes for Young Adults from Foster Care-Selected Readings and Resources * Improving Higher Education Outcomes for Young Adults from Foster Care-Selected Readings and Resources Nat. Q & A: Tuition Waivers for Postsecondary Education Q & A: Tuition Waivers for Postsecondary Education 2008 Nat. Report of the First National Convening of Postsecondary Education Support Programs for Former Foster Youth Report of the First National Convening of Postsecondary Education Support Programs for Former Foster Youth 2005 Nat. * Strengthening Americas Schools Act 2013 * Strengthening Americas Schools Act 2013 2013 Nat. The Workforce Investment Act (WIA) The Workforce Investment Act (WIA) 1998 Nat.